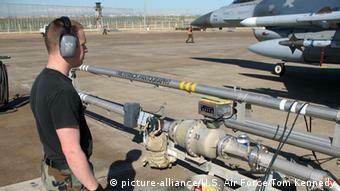 Upgrades of six US air bases set to stock modernized B61 nuclear bombs are continuing in Turkey and Europe, according to US and German researchers. 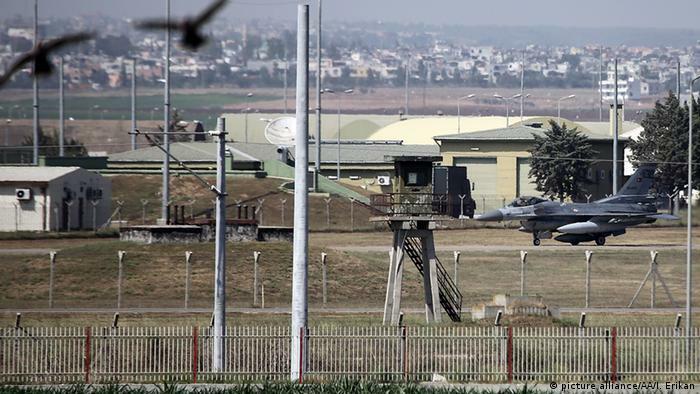 They claim Turkey’s Incirlik base stocks at least 50 such US weapons. Modernizations of security perimeters around nuclear bomb vaults and infrastructure at the six US air bases were continuing apace, reported the Frankfurter Rundschau (FR) newspaper on Wednesday. Moscow reacted on Wednesday saying it would take countermeasures if the US placed new nuclear weapons in Germany. “Unfortunately, if this step is implemented it may disrupt the strategic balance in Europe,” said Kremlin spokesman Dmitry Peskov. The US provided the bulk of the funding but extras such as runway refurbishments came out of the national budgets of the five ‘guest’ NATO partners – Germany, Belgium, Italy, the Netherlands and Turkey. Congress boosted spending in 2011 after an air force review concluded that “most” US storage sites in Europe did not meet US defense department standards. The FR cited the non-governmental Berlin Institute for Transatlantic Security (BITS) and findings of the nuclear-critical Federation of American Scientists (FAS) compiled from budgetary data given to the US Congress. FAS researcher Hans M. Kristensen said commercially available aerial photos showed new perimeter construction works around 12 aircraft shelter-vault complexes at the US Aviano air base in Italy and 21 such aircraft shelters at Incirlik, where the perimeter had double fencing and intrusion detection equipment. Special weapons maintenance trucks were also being replaced and upgraded, he said. For the anti-IS operation, US F-16 jets had been relocated from Aviano, Italy to the Turkish NATO base under a “unique” arrangement. “The Turks have declined US requests to permanently base a fighting wing at the [Incirlik] base,” he wrote. The FR said the B61 nuclear bomb – first devised in the 1960s – had been “modernized” so it could be set to explode at various strengths of up to ten-times the devastation inflicted at Hiroshima, Japan, in 1945. It also has the capability to be steered toward a target placed it between short-range “tactical” and long-range “strategic” atomic weapons, the FR said. “It now comes down to the range of the carrier aircraft,” it said.adding that congressional papers pointed to the development of a so-called B61-13 from 2038. BITS author Orfried Nassauer said investments by Gemany’s Bundeswehr were scheduled at Büchel, widely believed to be the sole US nuclear-equipped air base in Germany. The base’s runway – located in Germany ‘s hilly, western Eiffel region – was to be fully refurbished and fitted with a modern instrument-landing system next year, he said. A member of German federal parliament’s defense committee, Social Democrat (SPD) Thomas Hitschler recently told the Rhein-Zeitung newspaper that the German government planned to invest 120 million euros at Büchel. 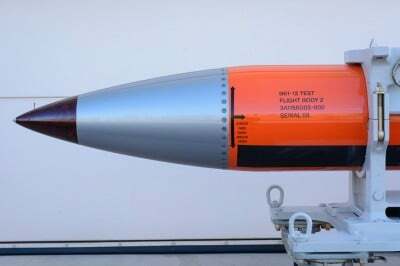 German public ZDF broadcasting’s investigative magazine “Frontal 21” reported on Monday that the US planned to stationed new atomic bombs at Büchel. In 2009 and again in 2011, Germany’s then foreign minister Guido Westerwelle demanded the removal of all US nuclear weapons presumed to be at Büchel. The demand, made for decades by peace activists, was backed in a 2010 Bundestag resolution. A “Wikileaks” paper showed later that Chancellor Angela Merkel’s foreign policy advisor Christoph Heusgen distanced Berlin from such calls in talks with Washington. The FR said Germany had never been allowed by the US to have access to the B21s. During the Cold War, German Tornado jets located at Büchel had trained with mock metal devices. 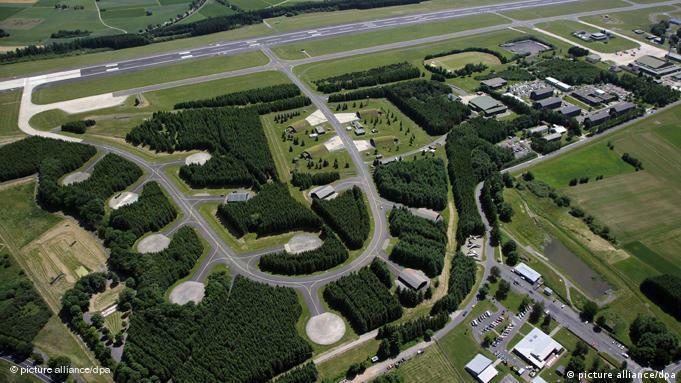 The FAS’s Kristensen said security upgrades were also under way or planned at the US’ Operations Center-Command at Kleine Brogel Air Base in Belgium and a nuclear weapons vault support facility at another air base in Ghedi., Italy. In July, Italian prosecutors said two arrested IS adherents, a Pakistani and a Tunisian, were suspected of listing Ghedi among their potential targets. The prosecutors said, however, that the site was “never in danger” because the pair, based in Brescia in northern Italy, had not set their plans in motion.